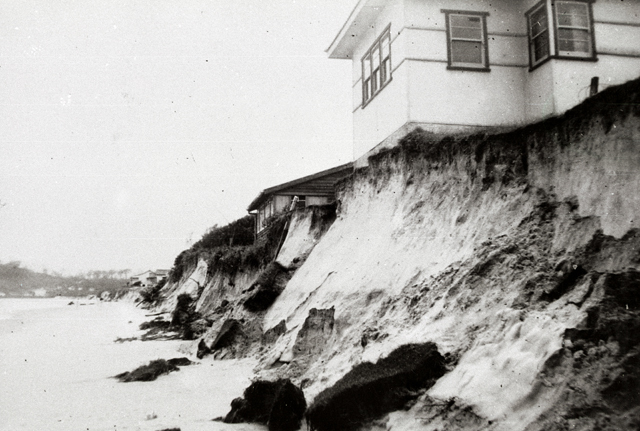 On Saturday 20 February 1954 the centre of an unnamed tropical cyclone crossed the coastline at Coolangatta. 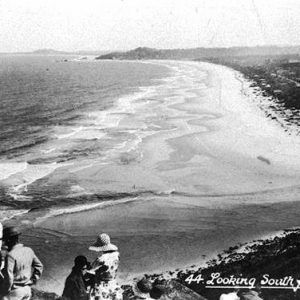 On Saturday 20 February 1954 at approximately 10pm, the centre of an unnamed tropical cyclone crossed the coastline at Coolangatta. 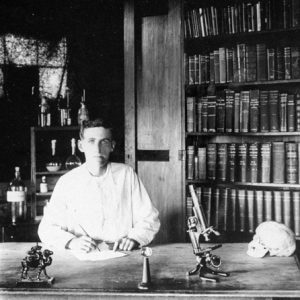 It had originally formed near Fiji nine days earlier and in the twenty four hours leading up to the cyclone reaching land, record breaking rainfall was recorded throughout the region with 900mm falling on Springbrook in the Hinterland and Brisbane experiencing its worst storm in years. 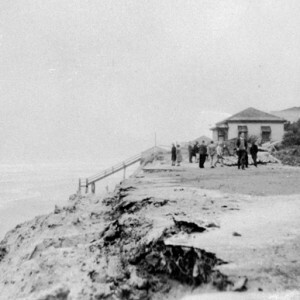 The cyclone lashed the Gold Coast and northern New South Wales coastal towns for thirty six hours with gale force winds and horizontal rain. On the Gold Coast, the heavy rain and storm surge on the Nerang River resulted in large scale flooding and evacuations across the city including at Benowa, Southport, Surfers Paradise and Labrador. 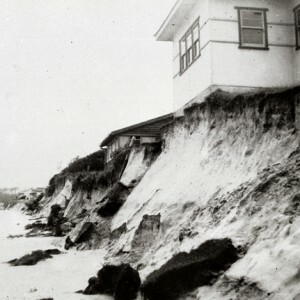 The swollen Nerang River was estimated to be over a mile wide at Surfers Paradise with the river reaching Ferny Avenue. Boats were torn from their moorings and smashed against rocks, erosion on the beaches exposed sea walls, landslides were reported, jetties were torn apart, shops and homes were flooded and roofs torn off. 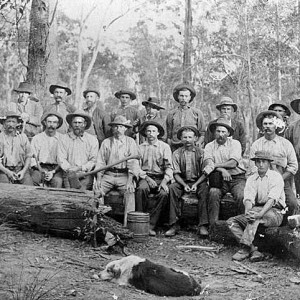 Southport was isolated by road and water with no communication. 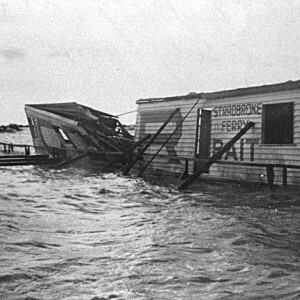 The only jetties to survive were the Grand Hotel and Fish Board jetties at Labrador while wreckage covered the roads and streets. 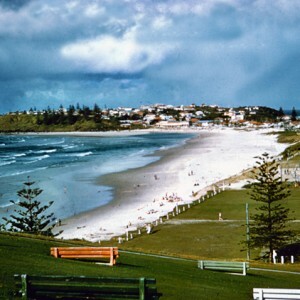 As the cyclone directly hit the southernmost area of the Gold Coast, the damage was even more severe south of Burleigh Heads. The fishermen at Rainbow Bay moved their fishing boats onto the road in order to try and save them. 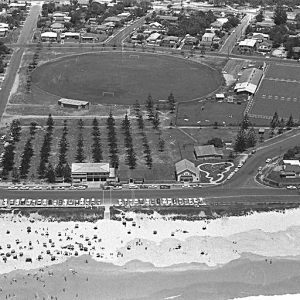 At Kirra the waves were crossing the parking area and rushed across the Pacific Highway where it was reported that a two metre surge picked up cars travelling along the highway. 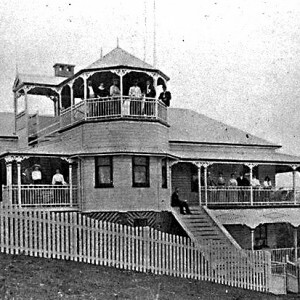 The roof of the Currumbin Surf Lifesaving Club collapsed while at Burleigh Heads, the roofs of the Hotel Burleigh and Glideway Hall were partially damaged with the DeLuxe Theatre’s roof loosing entire sections. 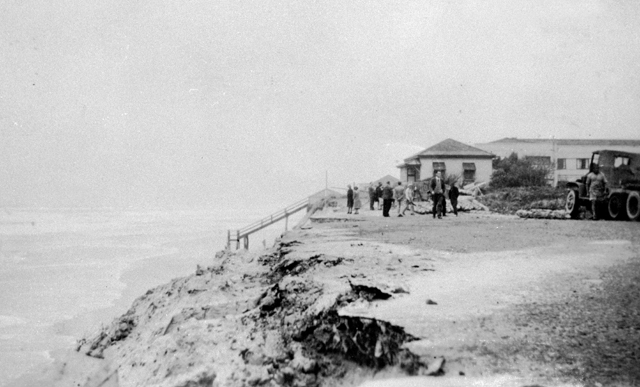 The skating rink on the foreshore was undercut by the waves and destroyed. 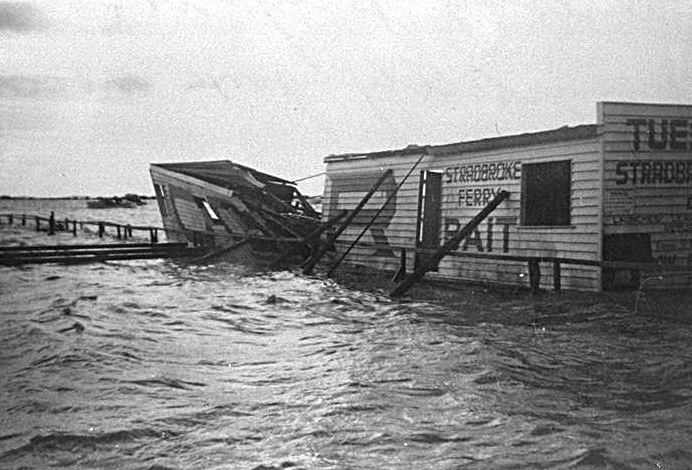 At the time it was considered the worst cyclone to impact the east coast of Australian in living memory with over 20 casualities and extensive damage caused by flooding, heavy rainfall and gales between the Queensland border and Sydney. The eastern coast of New South Wales, Victoria and Tasmania also experienced heavy rainfall from the edge of the storm. The Gold Coast cyclone remains unnamed as it occurred prior to the convention of naming cyclones which started in 1964. “South Coast’s worst cyclone.” South Coast Bulletin, (Southport, Qld.) 24 Feb 1954, pp. 2 & 13.